The mission of WESTCHESTER CREATIVE ARTS THERAPY SERVICES is to provide quality clinical music and art therapy to individuals who desire to grow, change, and enhance their lives through their active participation in these modalities. Participants will be met with acceptance in an environment where individualized treatment is planned and administered in a respectful and professional manner by licensed therapists who are dedicated to those whom they serve. 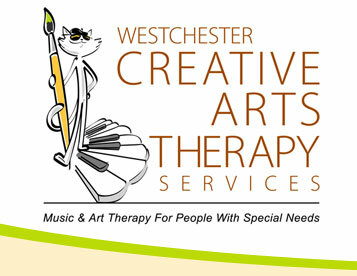 Westchester Creative Arts Therapy Services, PLLC (Westchester CATS) provides the highest quality music and art therapy programs designed to promote cognitive, emotional, speech, and social development while promoting feelings of contentment and well-being. 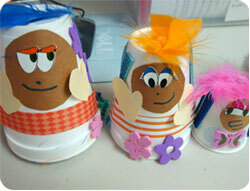 We welcome volunteers who have the willingness and dedication to help those who face many challenges. Westchester CATS provides music and art therapy programs in residential facilities, schools, hospitals, and senior facilities. Each session is carefully designed to help clients achieve their goals while experiencing the pleasure inherent to participating in music and art experiences.